Let's say you are shopping for an item, have figured out exactly what you want, and are ready to click the “buy” button. But your finger hovers over the button, while you wonder whether or not you are getting the best possible deal. Well, there are ways you can be sure that you are! 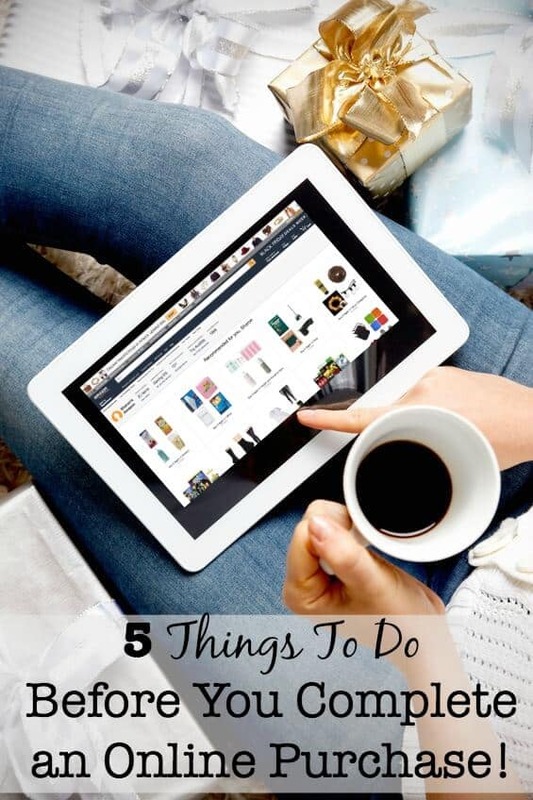 Here are 5 things to do before you complete an online purchase! This is a fantastic browser extension that runs quietly “behind the scenes” but pays attention to when you start shopping. 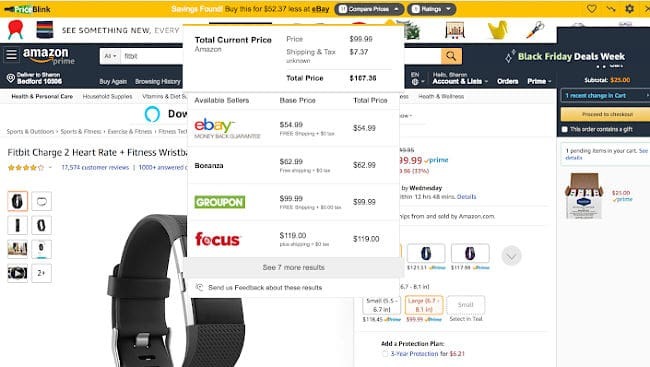 While you are looking on your favorite website for an item or even searching for it in your browser- PriceBlink starts running a real-time price search online and lets you know through a pop-up menu bar if it is able to find the item you are viewing at a better price! Here's an example of how it works. 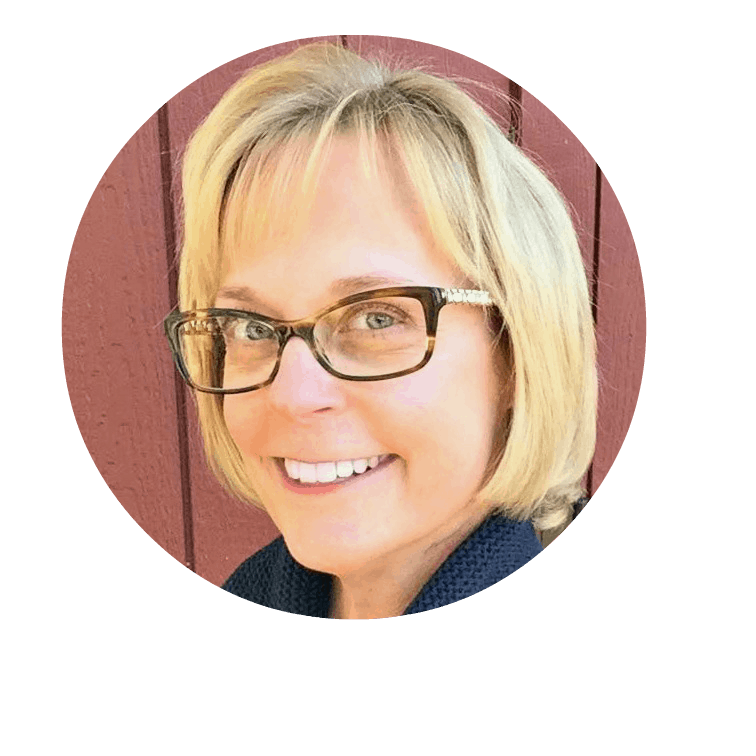 I went out to Amazon This is an affiliate link: MomOf6 earns a commission if you purchase, at no additional cost to you. (my favorite place to shop for anything and everything!) to look at Fitbit Charge 2 fitness trackers. 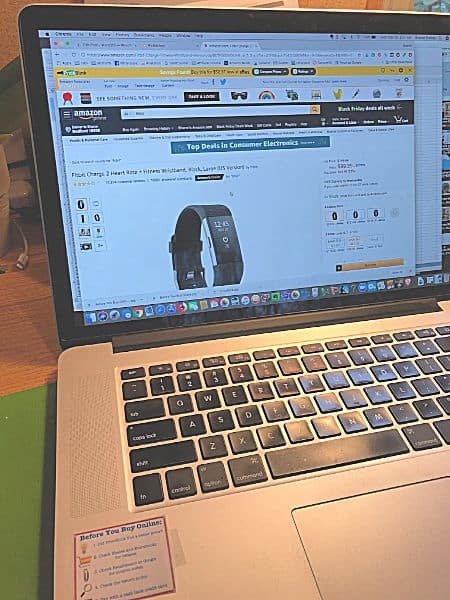 Behind the scenes, PriceBlink was churning away, looking at prices across the web- even from places like eBay- and since it found deals for me- the pop-up menu bar appeared to let me know that there were better deals! From there I can click the drop-down menu to see what other retailers are offering this exact item at a better price, and then click thru to see their shopping page. If coupons are available, PriceBlink will also share them with you here. And you can click the drop down box to see how this item is rated by customers on other shopping sites as well. Lots of great information here! But don't order just yet…..
Before completing any online purchase, you also need to double check whether or not that retailer is partnered with any of the rebate sites. What’s a rebate site? These are sites that direct internet traffic to a retailer, and as an incentive, the retailer pays these sites a commission. The rebate site then shares part of that money with you in the form of a rebate check that is mailed to your home. There are two sites that I like to use: Ebates This is an affiliate link: MomOf6 earns a commission if you purchase, at no additional cost to you. and Extrabux This is an affiliate link: MomOf6 earns a commission if you purchase, at no additional cost to you. . The good thing about using a rebates site is that you don’t have to start your shopping process on their site. I can shop the internet, find my best price on an item, and then put it into that retailer’s online shopping cart. Then I open another browser window, and search the various rebates sites and to see whether or not that retailer offers a rebate, and who is offering the best % rebate. I then can click on the retailer’s name within the rebate site which will launch a new browser window for that retailer- and my shopping cart will be in the newly opened window, with my item still in it. 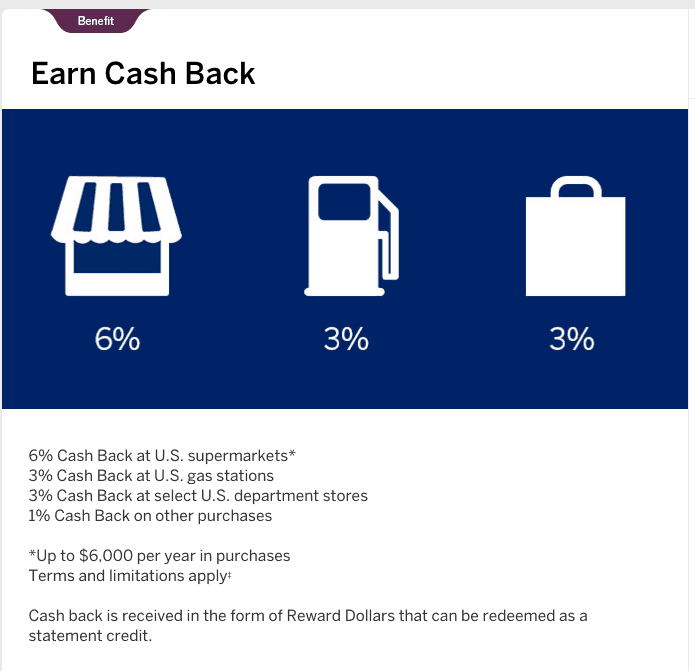 Ebates sends rebate checks every 3 months, and only when the rebate amount reaches $5.01. Extrabux sends you a rebate check when you log in to your account and request it, but only when your rebate amount reaches $10. Looking for some great tools to organize your home? #3. Before checking out, look for online coupons! When completing an online purchase, you’ll see that many retailers have a place to enter a promo or a discount code. That should be your reminder to go out and check for an online coupon before completing the purchase. 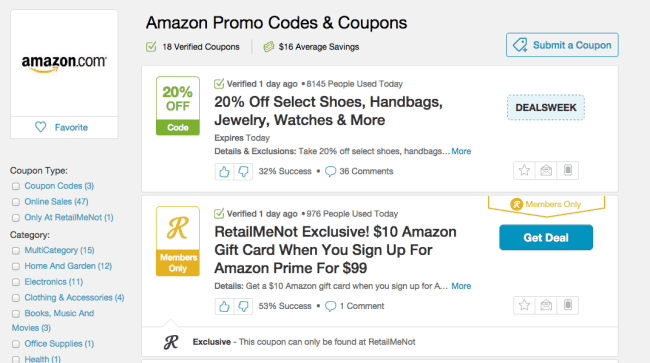 My favorite site to check for online coupons is Retailmenot, or you can also just do a Google search for the store name followed by “coupon” or “promo code”. #4. Know the return policy before you buy! This is SO important-, especially during the holidays! If you are giving an item as a holiday gift, you want to make sure that you can return it in January if it doesn't fit, or the recipient doesn't love it. So make sure that the return window allows for that. If purchasing an electronics item- check to see if there is a re-stocking fee on returns. The returns policy can be a deciding factor when comparing the same item at the same price from two or more retailers! Steve and I have an American Express Blue account that offers cash back rewards. We use this card for all of our online purchases and once a year we cash in all of our accumulated rewards for a statement credit. We strategically do this at the end of October, so that we get the credit against our Nov/Dec bill- just when we are doing all of our holiday shopping! Our card also gives us the ability to redeem offers from specific retailers. And guess what? 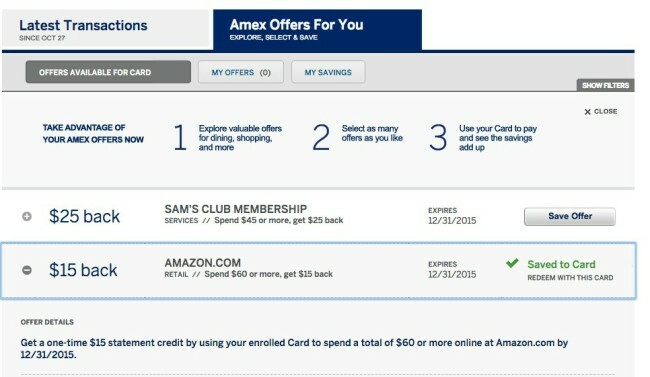 Right now Amex has an offer to get a $15 statement credit if we spend $60 on Amazon.com! That's another “deal” that I can get on my watch purchase! But here's the key! You have to pay off your credit card balance every single month! Otherwise, all of these extra savings completely go to waste as you pay interest on the balance! So here's what you need to do right now to start saving money on online purchases! Head over to PriceBlink and download the browser extension for your favorite browser (I use Google Chrome). Sign up for Ebates This is an affiliate link: MomOf6 earns a commission if you purchase, at no additional cost to you. and Extrabux This is an affiliate link: MomOf6 earns a commission if you purchase, at no additional cost to you. .
Bookmark RetailMeNot for quick access. Make sure your credit card gives you rewards that you can use! If not- get a credit card that does! Download this and keep it near your computer! Simply sign up below to join the MomOf6 community and you'll be directed to a thank you page with printing instructions! I printed mine and taped it to my laptop- so I won't forget to do each of these things before shopping this holiday season! 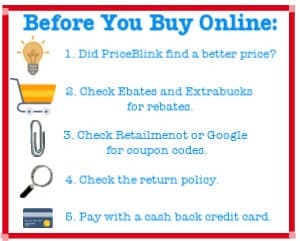 What's your favorite tip for getting a great deal while shopping online? « The Best Charging Stations For Powering Your Devices and Hiding Cord Clutter! Great tips! I wanted to point out though that Coupon Cabin gives much better rebates. 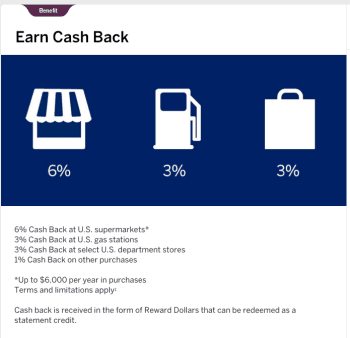 Example on one of the shopping sites I visited: Coupon Cabin offers 6% cash back +2% bonus cash compared to Ebates 2%. Coupon Cabin also has offers/coupons. You can add the CouponCabin web browser extension and it will remind you to click on it to get your eBate. 🙂 I’ve earned almost $40 and I just recently started. The above mentioned points are really helpful. And I want to add online more thing which is security. Always, choose the trusted site when doing online shopping, otherwise, your details can be tracked for other purposes also.